It’s pick 16 of a new players draft and you’re on the clock. 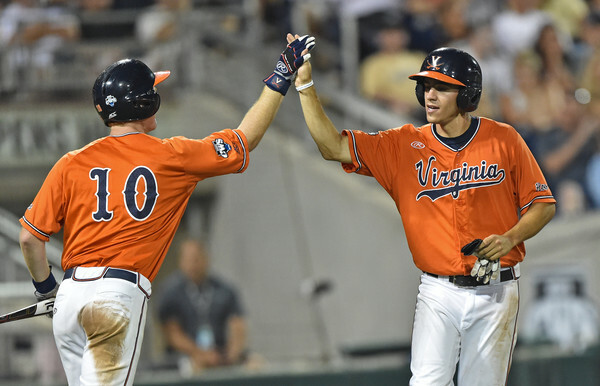 You’re staring at a pair of outfielders, Adam Haseley and Bubba Thompson. They’re ranked two spots apart on Baseball Prospectus’ Top 50 Dynasty Signees list and you’ve seen both at the tail end of some top 100 lists, or in the honorable mentions at least. But they are very different players, and you’re trying to decide between the two. Haseley is a fairly typical “polished college hitter.” He’s got a relatively high probability of being a major leaguer on the strength of his balanced toolset, but he’s unlikely to be a star given that none of the tools grade out higher than plus. Thompson, on the other hand, is all tools and no certainty. He’s a converted quarterback with speed to burn and enough projection, if you squint, for useful power. The common optimistic comp you see is Lewis Brinson (though Dustin Fowler may be a little more realistic), but he could just as easily be LeDarious Clark (not many have heard of him, and that’s the point). So which one should you take? The answer depends on a lot of contextual factors about your team and your league. For this exercise, I’m going to mostly ignore the specifics on the players and just focus on the risk profiles they present. The high-floor, low-ceiling, probable major leaguer versus the high-ceiling, low-floor potential star who might never make it at all. The further from the top 100 you get, the fewer details you get, and the more prospects will just look like this to you anyway. Now, let’s ask some questions. How deep is your league? Obviously if you’re picking either of these guys your league is fairly deep, but the deeper the league, the more important safety becomes. It gets harder to fill a roster with full time players in 16-20 team or AL/NL-only leagues, and a high floor has significant value. Conversely, in a shallower league the ceiling of a guy like Hasely might only be borderline rosterable. How active is your league? If your league doesn’t do a lot of trading, and hence you can’t fill holes via trade, you need to have guys on your farm who will fill them. This is another situation where a high floor is preferable, because you won’t have a team if your prospects don’t get the call. On the other hand, if your league is making four trades a day in late November, you can view your prospects more like stocks. You want players with a chance to increase their value in the next year or two so you can trade them for major leaguers. Or if they fail, you can just cut them and pick up next year’s version. What are your league rules? First off, are you keeping a limited number of players or your entire roster? 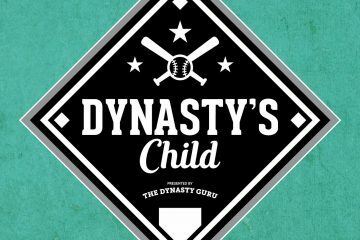 If your league is full, keep-forever dynasty, these entry drafts may be the only way to really add talent to your team. Since nearly every rosterable player is owned, replacement level is very low. You’ll generally have to “grow your own” players for every position, even bench bats, so a useful regular has real value. On the other hand, if you have a limited number of keepers, or salaries or contracts to worry about, not only will there be more player turnover and better players available, but the same useful regular likely won’t be worth keeping or paying for down the road. Categories are also a factor. Standard 5×5 leagues cater to a narrower skill set. You’ll often hear players described as “Better in real life than in fantasy” and you’ll have to account for this when reading prospect lists that aren’t geared for fantasy. However, if your league counts things like walks and strike outs for hitters, or credits the usually derisive “doubles power” through Total Bases, Slugging percentage or Extra Base Hits, then a player doesn’t need stand-out power or speed to contribute or even be an impact player in several categories. Jed Lowrie’s 14 homers, zero steals and .277 average probably sat on the waiver wire of every standard mixed league last year, but his 66 XBH were 31st in the league and his .360 OBP was 41st among qualified hitters, making him a top-10 second baseman in leagues with those categories. That’s an example of how a “low ceiling” player can actually be a valuable contributor in the right format. If you’ve got a fairly young team with a core of guys mostly in their twenties, you can take more shots on teenagers with little-to-no experience who might be five years away. 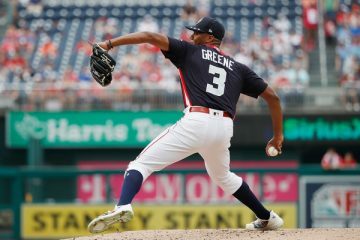 If your core is is in their thirties, or you have several Adrian Beltre types who might be retired in two years, then you probably want the safer, closer player who can step in and be a regular for you (even if they’re only a third or fourth outfielder). This one isn’t quite as binary the rest. If your team is bad, shoot for the moon. You need impact prospects to make a difference, and if you already have some top-prospects cooking, your contention window should be big enough to give the new guy time to develop. If you’re middle of the pack, you’re probably just a couple players away from contention. Replacing that light-hitting platoon guy with an average regular as your 4th OF might well be the thing that propels you into the playoffs and your first title. If you’re a serious title contender though, you have to balance your risk a bit more. On the one hand, you have the luxury of not needing to fill big holes, so you can afford to either wait on guys, or have some fail completely, and not be crippled. On the other hand, you won’t have high picks, and you need your farm to produce something to stay competitive as your core ages and your “win now” players age out. If too many of your prospects fail or get flipped, you are eventually going to hit a cliff when your stars decline and you have no one to replace them. That’s fine if you win a couple championships in the process, but you could suddenly find yourself further from contention than the guy who drafted nothing but prospects in year one. If you want a sustainable team, you need to spread out your prospect ETAs so that you have a steady supply of talent feeding your roster. I honestly cannot tell you who will be the better player between Haseley and Thompson, but when you’re staring down a couple faceless players with names you’re not convinced are even real, and only a line or two of notes to go on, I hope these questions can help you decide which one is better for your team.